In 1993, two things happen in my life that changed it forever. First, in the Spring of 1993, I found an unusual therapist named Cheryl who asked a simple question: "What if being fat is just a natural variation of body types and it is okay that you are not what society considers normal?" No one have ever made that proposal to me in that language before. Sure, I read Fat is a Feminist Issue, but all that taught me was that if I became politically engaged, I would lose weight. I had and I didn't lose weight. Or rather, I didn't lose weight without becoming addicted to speed. By 1993, all the weight was back with buddies and my health was in decline. At Cheryl's urging, I decided to take some Women's Studies courses and think about what society had taught me about my body, weight and food. In Fall 1993, I also took a course with Etta Breitt at University of South Florida called Women's Bodies, Women's Minds. That course introduced me to the Fat Underground as part of the original Our Bodies, Ourselves publications. I had a framework for my body that I had never had before and it was changing not only the way I looked at myself, but the way I looked at society. This was the beginning of my desire to be a sociologist, especially a medical sociologist. In that course, we were asked to produce a project that demonstrated what we learned in the semester. With Cheryl's help, I decided to put together a self-published, personal manifesto that I called Before and After. I re-published it in 1994 and distributed about 100 copies of it, mostly to friends and other students. That booklet became the basis for our sociological memoir, Taking Up Space: How Eating Well and Exercising Regularly Changed My Life (2005, Pearlsong Press). During the move this year we found 27 copies of the original booklet. These were the "imperfects" because the binding was uneven, but they are essentially the original booklet. 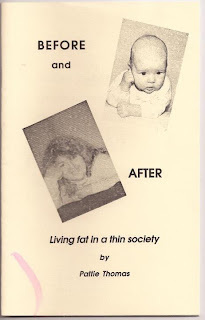 So it occurs to us that these booklets might be of interest to fans of Taking Up Space and/or people who collect memorabilia of the fat acceptance movement. 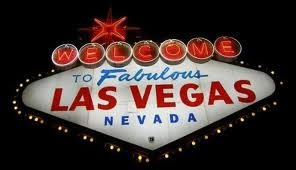 So we are offering this booklet to first 25 people who contribute $15 or more to the Gofundme campaign for User Friendly Vegas. I will personally autograph and write a personal message to each person who receives a copy. We are only giving out 25, so please hurry to ensure you receive your copy. You will also receive the $5 MOMTL gift card and the .pdf version of Taking Up Space, as well as have recognition on our FaceBook Wall.